What is to Know Before Siding Installation of Your House? Siding panels are designed for facing facades of residential and non-residential buildings.Siding can be installed at any time of the year. It is frost resistant, resistant to high humidity and temperature changes. The siding set includes not only cladding panels but also additional elements for easy installation and giving the finished look to the edging of window and door openings, corners of the house and cornices. Facing the house with siding allows you to additionally insulate it from the outside. 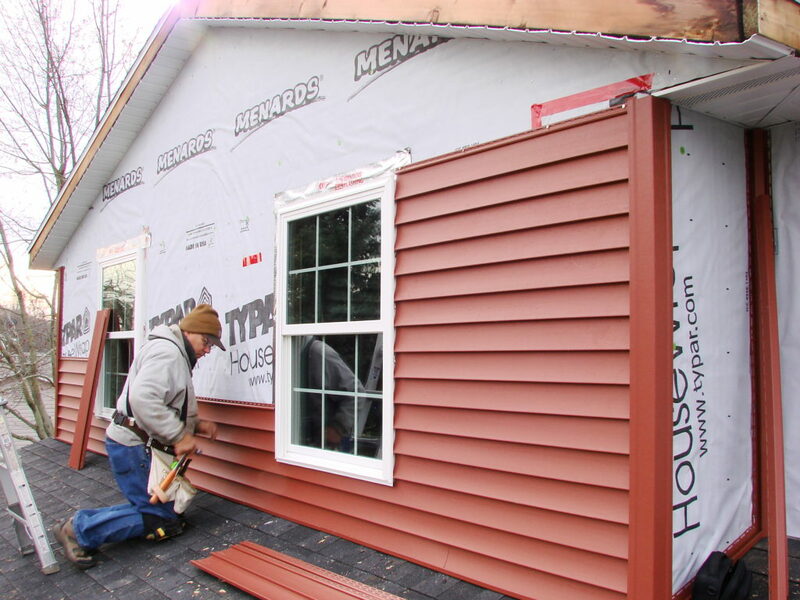 Before proceeding to the siding installation it is necessary to familiarize yourself with the siding manufacturer’s instructions and installation features or call for the professional installer expert at siding knowledge. The technology of the siding of the house differs depending on the configuration of the house and the presence of decorative elements on the facade. For fixing the siding galvanized self-tapping screws with a press washer of at least 3.5 × 20 mm size or steel or aluminum nails are used. Do not use iron nails because they form rusty stains.The hat of the screw or nail should not fit snugly against the siding fixing strap. Between them leave a gap of 1 mm. On the uneven walls of the house before the beginning of the cladding a crate must be installed to which the siding is attached.When installed in the warm season a temperature gap of 5-6 mm is made between the side joints of the siding panels. When installing the siding in the cold season the temperature gap is 9-10 mm. Before the installation of the siding it is necessary to remove all elements fixed on the facade of the building like remove drainpipes, platbands, shutters from windows, exposed window sills, lamp mounts and climbing plants. If a wooden house is lined then before starting the installation the house must be inspected for rotten and lagging boards. Rotten boards are better to replace and lagging boards to be nailed. Then the whole surface should be treated with an antiseptic.Siding is mounted on the crate of wooden bars or galvanized metal profiles.On the insulation must be put waterproofing. In today’s market there are many solutions for finishing the facades. Siding is one of the few materials that combine a presentable appearance, durability, moderate cost and ease of installation. If you know how to finish the house with a siding you can quite simply make a quality and durable coating for the walls. The estimated service life of the material is about 50 years. Therefore, if the installation is carried out according to the rules and temperature gaps are taken into account then the house siding will not lose its presentable appearance for a long time.